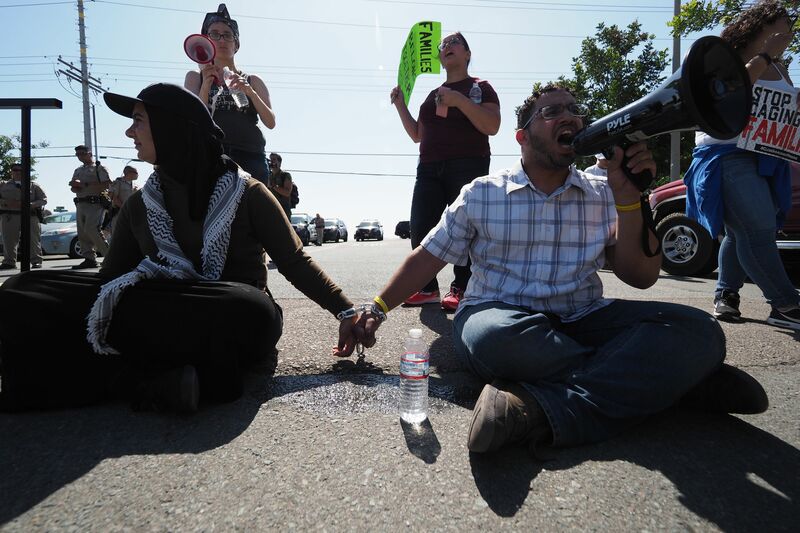 One of the countrys biggest public pension funds succumbed to pressure from activists to divest from private prison companies CoreCivic and GEO Group. The California State Teachers Retirement System began rethinking its investments in the companies in July, when the migrant detention debate was at its peak. CoreCivic and GEO Group, which have ICE contracts, call the divestment politically motivated and bad for pension-holders. A nearly $230 billion California teacher retirement program voted Wednesday to get rid of its investments in private prison companies CoreCivic and GEO Group in the latest push from teachers and activists who want the program to pull out of a variety of industries. The California State Teachers Retirement System, or CalSTRS, decided in July to tour some of the companies facilities to determine whether they violate human rights, in which case the board could divest. Although CalSTRS was “not able to obtain evidence that [CoreCivic and GEO Group] violate the respect for human rights, private prisons do add capacity, and help facilitate a system, that may be viewed as violating the risk factor,” chief investment officer Christopher Ailman wrote in a memo, according to Pensions & Investments. About 200 teachers signed a public letter to CalSTRS in July asking the fund to divest because they questioned conditions at the companies facilities, which have contracts with Immigration and Customs Enforcement (ICE) and house migrant detainees in some of their facilities, reported The Sacramento Bee. CalSTRS “serves 933,000 members and their beneficiaries,” spokeswoman Michelle Mussuto told The Daily Caller News Foundation on Thursday. CalSTRS visited two facilities outside of San Antonio and found them satisfactory, but still chose to divest. CalSTRS investments in the two companies hovered around $12 million as of Nov. 6.
Who Wanted Divestment In The First Place? Teachers have been lobbying CalSTRS to divest from industries including firearms and the Trump Organization dating back to February or earlier. 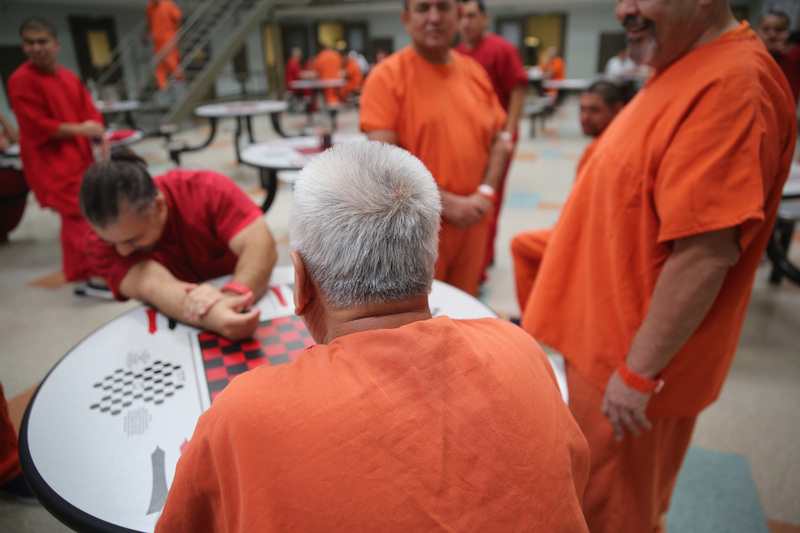 The private prisons rose to attention during controversy over migrant family separation at the border that was partially quelled when President Donald Trump signed a June 20 executive order ending the practice that had also existed under the Obama administration. The text of the public letter signed by more than 200 teachers was composed by “left-leaning organization” Together We Will-San Jose, reported The Sacramento Bee. Together We Will bills itself as an “intersectional, feminist, inclusive, anti-racist community dedicated to progressive activism” that concerns itself with issues from immigration to vehicle emission standards. Teachers successfully petitioned CalSTRS to divest of an indirect stake in firearms company Remington Outdoor because the 2012 Sandy Hook shooter allegedly used one of its assault weapons in the shooting, reported The Sacramento Bee. CoreCivic and GEO Group have a combined yearly revenue of roughly $4 billion with roughly 120 facilities each nationwide. CalSTRS may be the second-biggest public-pension fund in the U.S., but its situation is less than ideal as it is only 70 percent funded, wrote former Department of State chief financial officer Christopher Burnham in a Tuesday San Francisco Chronicle op-ed. ICE houses detained migrants in privately run facilities as well as Federal Bureau of Prisons (BOP) facilities. Nine percent of the U.S. state and federal prison population were housed in private prisons in 2016, according to the Bureau of Justice Statistics. Follow Evie on Twitter @eviefordham. We are Belgian news website providing Breaking news and analysis on politics, business, world national news, entertainment stories. We offer Press Release publication for various local and international organizations.